Created initially as a tool for the airline pilot, the GMT-Master has evolved over six decades to become a beloved companion on the wrists of globe-trotting cosmopolites. The dawn of the Jet Age in the late 1940s kicked off a period of rapid advancements in commercial air travel, effectively shrinking the world like never before. Long haul flights that crossed multiple time zones became common, and the pilots making them needed a way to keep track of multiple time zones. Pan American World Airways (also known as "Pan Am") was among the first to identify this need, when it advised its pilots to maintain the circadian rhythms in their respective “home” time zones to combat jet lag. An industry-wide practice that was established later is the logging of flight operations according to Greenwich Mean Time, GMT, regardless of the plane's location. 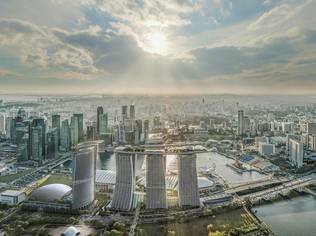 Universal Coordinated Time has since supplanted GMT, but the principle remains unchanged and this practice remains even today. Whatever the reason, there was now a need for a professional watch that's capable of indicating the time in multiple time zones. To create a watch that could track both home and local time, Pan Am approached Rolex, and the result of their collaboration was the Oyster Perpetual GMT-Master. The timepiece was introduced in 1955 as part of the Rolex's then fledgling Professional line, which featured tool watches with functions and/or complications that served various specific needs. Developed during the golden age of air travel, the GMT-Master quickly became the quintessential pilot's watch, with several airlines officially adopting it for their own pilots. In particular, Pan Am, the airline that kickstarted it all, acquired and issued several hundred GMT-Master watches to its flight crew – pilots, first officers, and navigators alike – further cementing the watch's status as a pilot's flight companion. The GMT-Master's success was largely a function of its simplicity, a simplicity that addressed a pressing need. 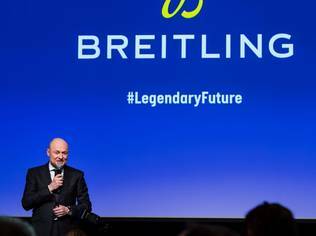 Essentially, the watch's innovations boiled down to two elegant implementations: The first was an additional 24-hour hand that was attached to the regular 12-hour hand. This meant that the extra hand couldn't be adjusted independently. Instead, it made a complete revolution once every 24 hours, in tandem with the 12-hour hand but at half its speed, effectively displaying the time in a 24-hour format. 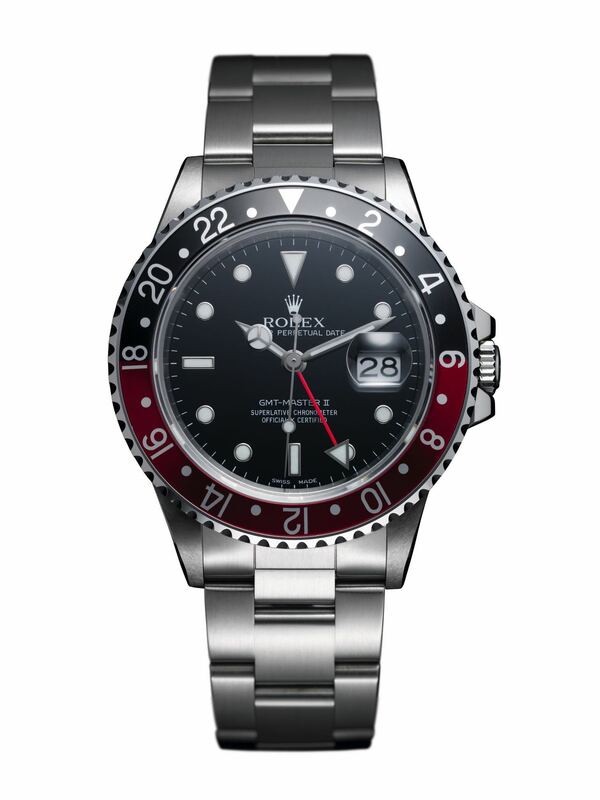 The second modification was a rotating bezel with 24-hour markings. That was it. Pilots who wore the GMT-Master typically kept it set to GMT (hence the watch's name), and simply turned the bezel to the appropriate time zone offset to read off it wherever they were, or to get home time. 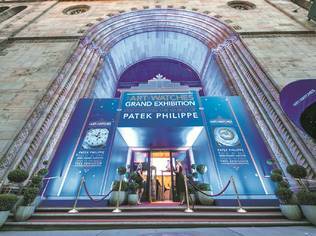 What made the GMT-Master such a revelation in watchmaking was how it was a neat solution for its times. What's even more impressive is how Rolex got it right on the first roll-out; the precedents Rolex set with its GMT-Master are still followed today by any watch with a GMT complication. 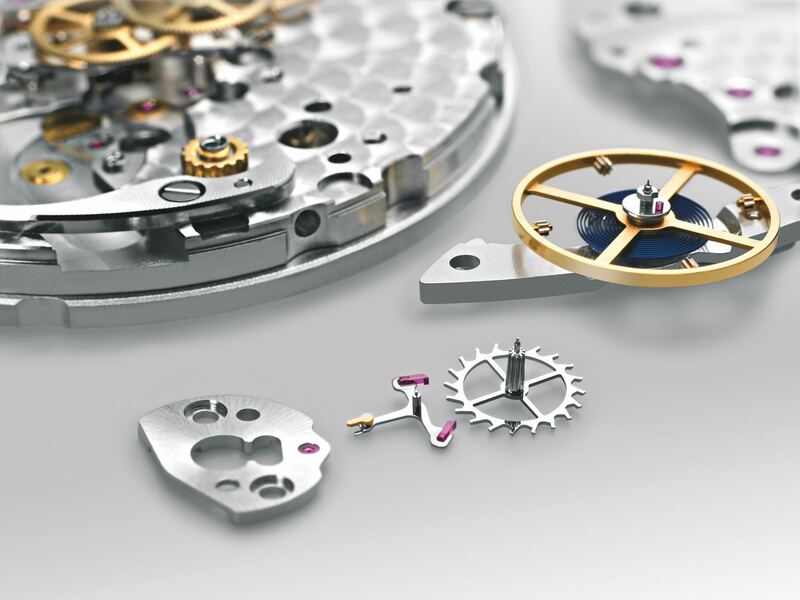 The GMT-Master received a major functional upgrade in 1982, when Rolex unveiled its calibre 3085 movement. 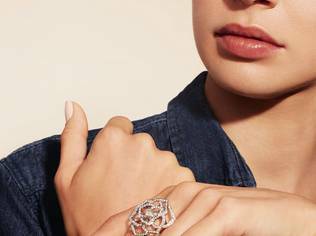 In this new calibre, the 24-hour hand is no longer attached to the 12-hour hand, and can be set quickly and independently in one-hour increments. 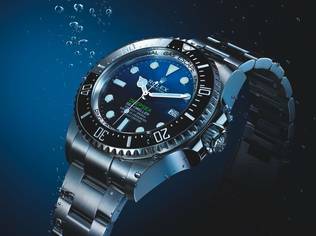 To clearly mark this evolution, and to avoid any confusion with the existing GMT-Master watches, the models fitted with the optimized movement were named the GMT-Master II. With an independent 24-hour hand, the GMT-Master II became capable of tracking three time zones – local time is read off the 12-hour hand, GMT is read off the independent 24-hour hand, and the bezel can be turned to an appropriate offset to give the time for a third time zone. 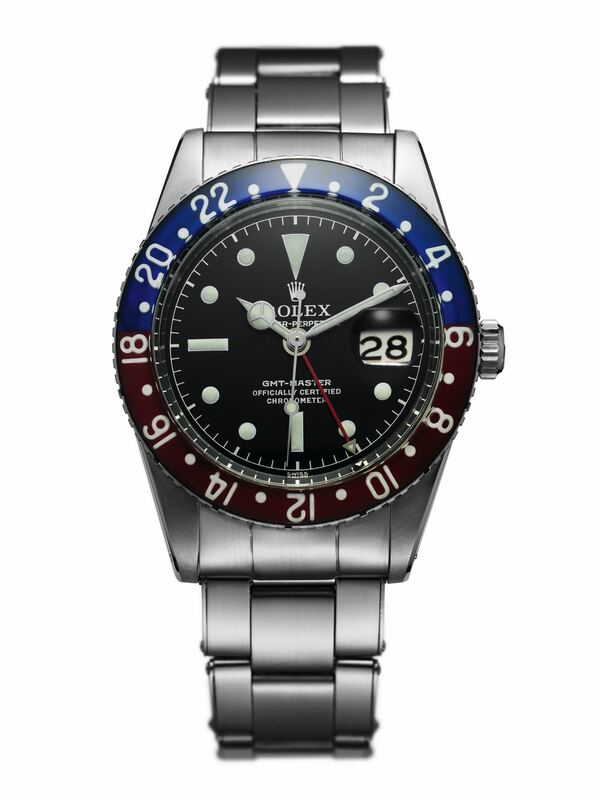 The GMT-Master II did not immediately supersede the GMT-Master though. Instead, both models were concurrently in production for close to two decades until around 1999, when the GMT-Master was discontinued. 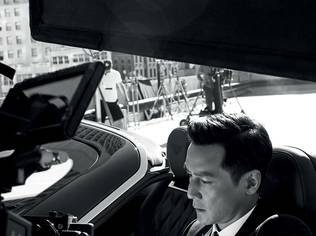 "The Rolex Way" as it has been known, has always been to produce the best iteration of any particular model in its line-up, bringing all of its resources to bear, with incremental improvements occurring as and when appropriate. The buyer of any Rolex can thus be assured that the timepiece is the best that the Rolex can offer at that point in time. 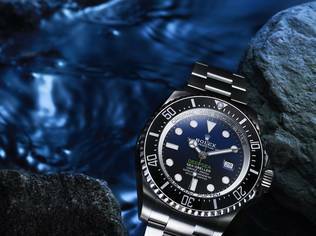 In terms of movement upgrades, Rolex has introduced straightforward changes – apart from the major shift from GMT-Master to GMT-Master II, they have been largely centred on reliability and accuracy. An early example of this was hacking seconds. Before its implementation, the seconds hand would continue to run even after the crown was pulled out, which meant that the time could only be set accurate to the minute. With hacking seconds, however, the time could now be consistently adjusted to the very second. The movements that powered the GMT-Master also saw steadily increasing frequencies, until 1981's Calibre 3075, which beat at the current industry standard of 4Hz. The latest improvement to the GMT-Master II's movement is the introduction of calibre 3285 in 2018. 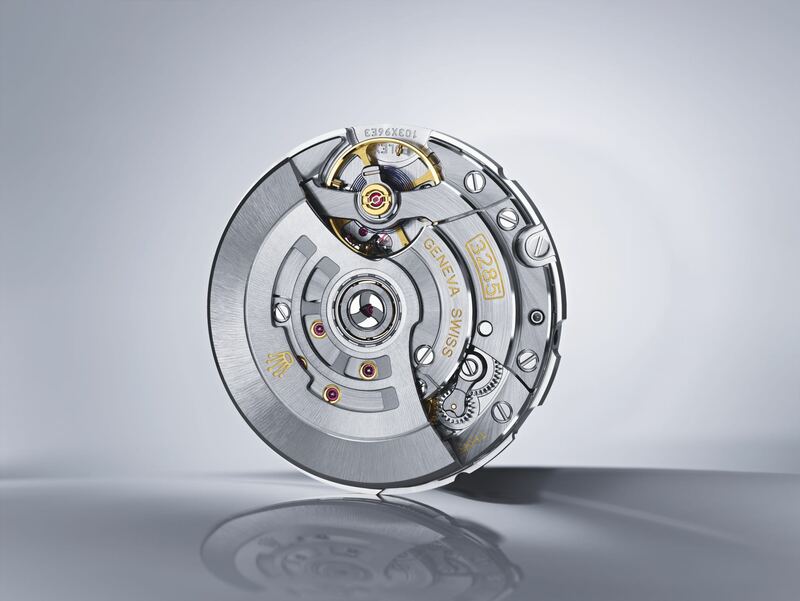 This calibre uses Rolex's proprietary Chronergy escapement, which is an optimised version of the Swiss lever escapement. The cut-out design of the escape wheel also makes it lighter, thereby reducing its inertia and rendering it more efficient, which translates into a longer power reserve of 70 hours. 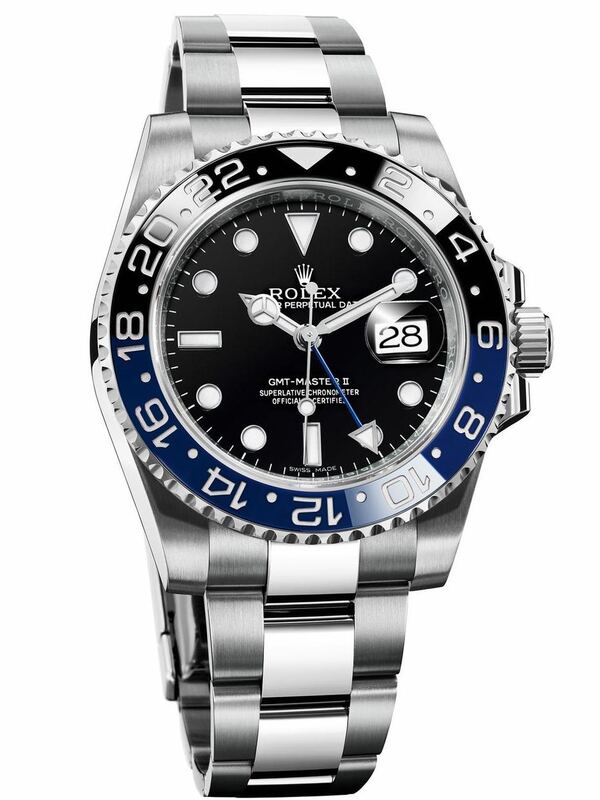 In the same vein of things, the GMT-Master's case – its bezel especially – has seen various upgrades over the years. The very first GMT-Master was initially fitted with Plexiglas bezel inserts that were prone to cracking and chipping. This was quickly replaced with Anodized aluminium later in the watch's production in the late 1950s. Aluminium remained the material of choice for decades thanks to its properties – it was lightweight, accepted coloured surface coatings readily, and offered a good balance between hardness and ease of machining. There were drawbacks, of course. For starters, the aluminium bezel insert could still be dinged or scratched. 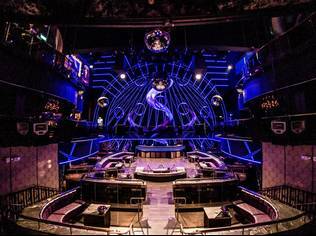 The coatings, too, would fade over the years, mostly due to UV light degradation. 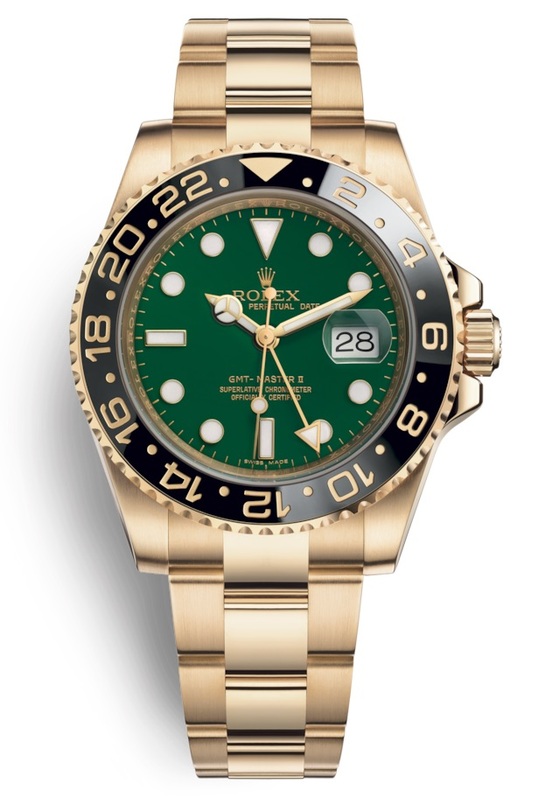 Rolex finally perfected a replacement for aluminium, which it unveiled in 2005 in the GMT-Master II in 18 ct yellow gold. The new material, Cerachrom, was introduced in the GMT-Master II as an upgrade in every single way. Essentially an immutable ceramic, Cerachrom isn't just virtually scratchproof thanks to its extreme hardness, but also retains the richness of its colour over the years. The latter is especially significant – Cerachrom's various colours are achieved on a molecular level and not via coatings, and are impervious to attacks from UV light, chlorinated water, and seawater. Clearly, the resources put into producing Cerachrom reveals Rolex's dedication towards perfection in every component of its timepieces. For several years after its introduction, Cerachrom bezel was limited to single colour iterations. 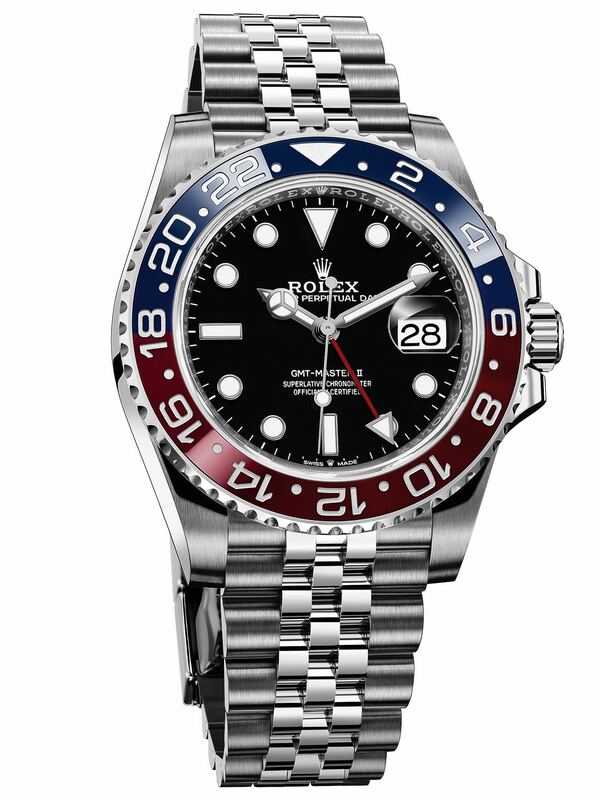 A possible solution to attain the original GMT-Master's two-colour bezel would be to manufacture two separate halves and join them – but that introduces a point of weakness, which Rolex was unwilling to accept. 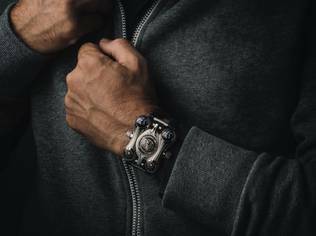 The brand finally made a breakthrough and successfully developed a two-colour product using a single piece of ceramic, which was unveiled in 2013 at Baselworld, with the new GMT-Master II sporting a black and blue "Batman" bezel in Cerachrom. The following year in 2014, the "Pepsi" bezel that started it all finally made its return in Cerachrom in an 18 ct white gold case and Oyster bracelet in the same material. 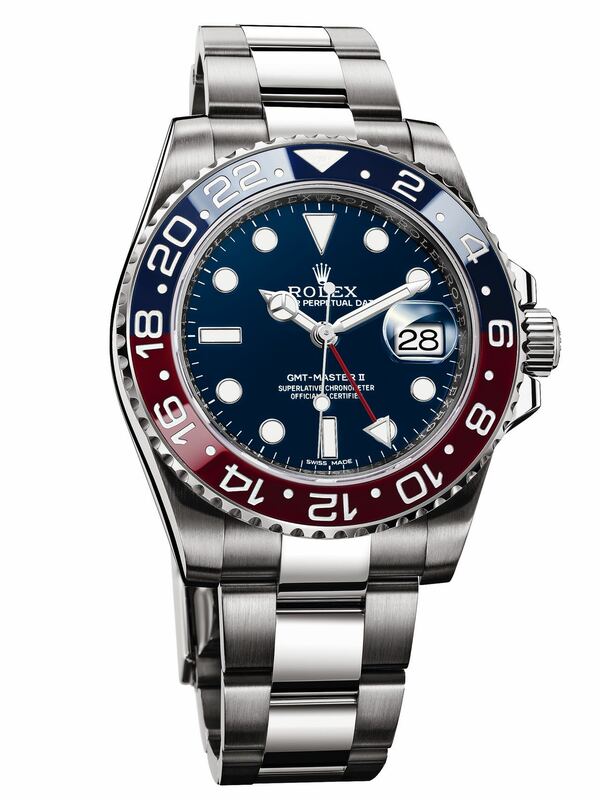 Major updates to the GMT-Master II arrived earlier this year, when Rolex introduced two major additions to the collection, both sporting the new calibre 3285 described above. 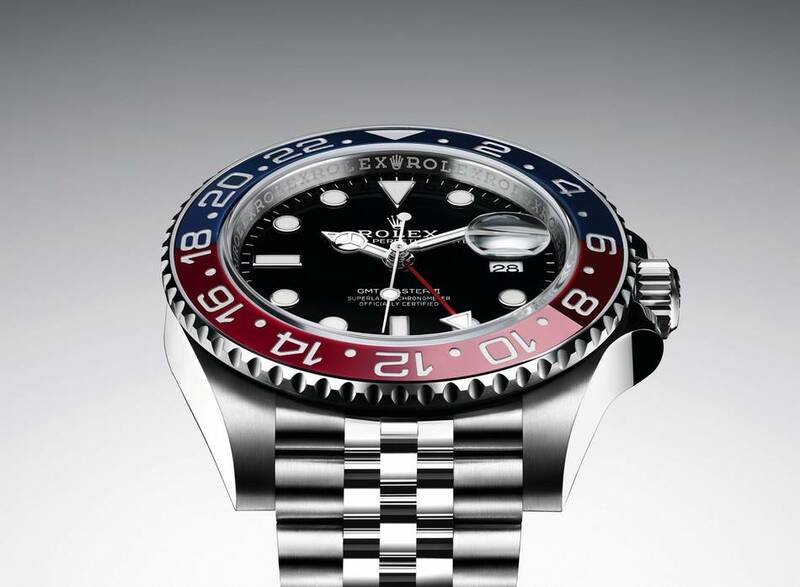 The first is the GMT-Master II in Oystersteel, featuring red and blue Cerachrom bezel, arguably the material for a tool watch, to complement 2014's reference in white gold. The two are easy to differentiate – the reference in Oystersteel comes with a Jubilee bracelet, incidentally the first such instance of this bracelet on the GMT-Master II since the introduction of the Cerachrom bezel to the collection. 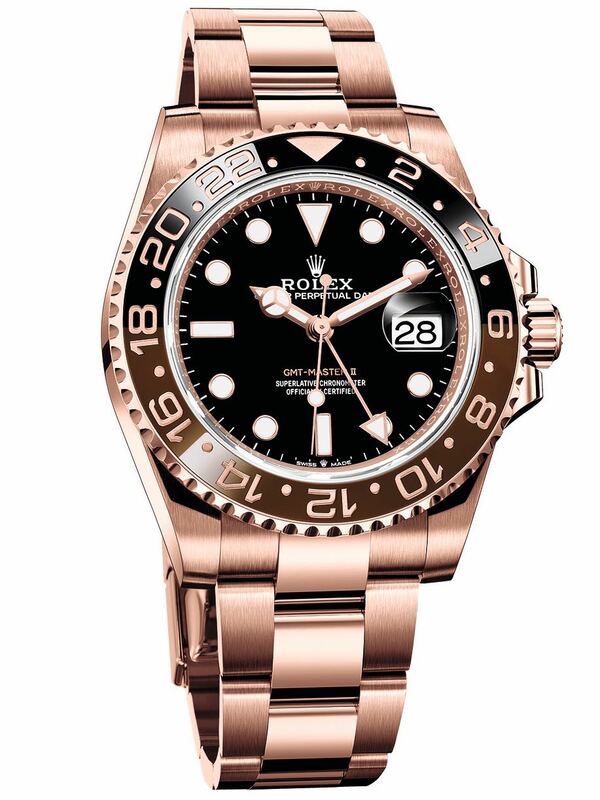 The second major highlight for 2018 is the first GMT-Master II to be crafted in 18 ct Everose gold, Rolex's proprietary blend of fade-resistant rose gold, which the brand first unveiled in 2005. To complement the case's warm hue, the watch has a black and brown bezel – in Cerachrom, of course – in what Rolex aficionados affectionately call the “Root Beer”. An Everose Rolesor option is available in addition to this reference, with a bi-metal case and bracelet combination of 18 ct Everose gold and Oystersteel. In six decades, the robust and ruggedly attractive GMT-Master has gone from a tool watch to become an icon with peerless functionality, as well as versatility with more luxurious executions available. 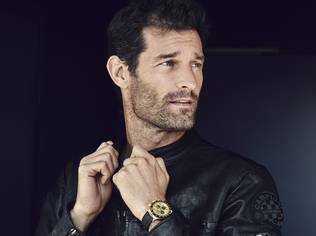 Every new reference is an additional thread woven by Rolex into the tapestry that tells the collection's story, and clearly this tale is far from over. What's next though? With Rolex's obsession with perfection, one can only expect further improvements to what is already one of the best designed and most well-engineered watches on the market today.